Since I posted something related to my mom a couple of days ago on Facebook, several people have asked me about her. Knowing that we live in a very different world today than the one of 25 years ago, a world where people regularly share all of their trials and tribulations on national television, and knowing that my mom was much more in the mold of Helen Mirren’s portrayal of Queen Elizabeth (“This is a family matter.”) than the steady throng of folks who sit on Dr. Phil’s couch, I’ll try to avoid any melodrama and simply share a few things that I’ve been thinking about. Please read on if you wish. My mom was killed in a car accident on a snowy day in Petersburg, Virginia. She died suddenly and unexpectedly and I still notice, all these years later, the effects of that day. I miss her. Simply put. But more importantly, my mom lived a very full life, a life that ended way too soon not only for those she left behind, but also for her. She was a public school teacher, the president of her garden club, the vice president of her needlework guild, and an active member of her church. She left countless friends, all touched by the loss. I was thinking about this odd social tool Facebook and the connection of so many people on it (my “friends”) to my mom, or at the least to her through me. There are family members. There are students that she taught. There are people to whom she would be most thankful for helping me get through life without her. Her sister is here, an aunt I had lost touch with over the years and recently reconnected with. Two of her three grandchildren – grandchildren that she never had the chance to know, but who she would have loved and enjoyed immensely – are here. Two nieces and a nephew are connected. A cousin. My “brother” who lived in the house behind us growing up and who, in many ways, thought of my mother as his mom, too. I have a number of sorority sisters in my friends list, friends who lived most directly in the immediate fallout of my mom’s death for me. We shared a house. They were there with me through a thousand tears, a thousand beers (for better and worse), countless late nights of me asking “Why?” I was a mess and there are a few friends amongst my “friends list” who helped clean up the mess more than once. Karen rode back to school with me after the funeral. Margo forgave more fines for more missed meetings than she should have. Becky and Leigh Ann and Alex (though we didn’t call her that then) and Deana and Linda were all there. And Sarah had great shoulders to cry on. Undoubtedly, the one friend I am most indebted to for that time, Carla, remains elusive to the world of social networking, but in the more traditional ways, she knows that I owe her more than I can ever repay – and we both hope and pray that I will never be asked to. I am more grateful than I can say that she was my roommate during that time and that her family took me in as they did. I would never have survived, literally, without them. I have friends from the seminary years that followed college, years when things got much more difficult on a much deeper level. These friends did not have the chance to know my mom directly, but they were touched by her through me. Phyllis and Conrad made a home for me in their family. Dina listened to me for hours and hours and hours and hours. She is a sister in the truest sense. Kelley and Kevin and I shared so many breakfasts together. There are two Jonathans – Webster and Berry – who were so important. Jonathan Webster and I shared both years at JMU and Southern together. He was the one person I knew when I moved to Louisville. Jonathan Berry was an early and quick friend, sharing trouble with Keith in the back of Church History classes. Dina and Jonathan’s children are amongst my Facebook friends, another generation of good people. And then there are all of the friends who have come into my life in the years since, the years that all together make my life without my mom. Some of them didn’t even know this story until I mentioned it the past days. It’s not something I talk about often. Some have heard it in the circles of support group meetings. Some know it because they have entered into that close and intimate space that some friendships are blessed to go. We are all influenced by our parents in many ways. There is much of me that is my mother, and thus all of my friends know her in some way because you know me. 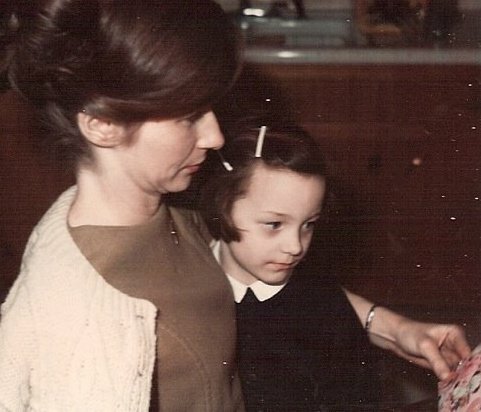 As my mom had many friends, so do I. I only hope that I measure up in some small way to the same level she set for treating people with love and respect, for being compassionate and caring, and for one to share much fun and laughter in life. A number of friends have shared with me over the past few days that my mom is surely proud of me, proud of the life I have made. I think on this day that if I can be to my friends what she was to hers, then we both will be proud. This entry was posted on Sunday, January 10th, 2010 at 12:19 PM and is filed under daily muse. You can follow any responses to this entry through the RSS 2.0 feed. Both comments and pings are currently closed.